These Terms and Conditions are The Big Summer Lottery Rules. By entering the lottery, entrants agree to be bound by these rules. This lottery is being promoted on behalf of Hope for a Child, Upper Mansell Street, St Peter Port, Guernsey, GY1 1LY. The Promoter is: Thomas Herring, c/o Hope for a Child, Upper Mansell Street, St Peter Port, GY1 1LY. This lottery is licensed by The Guernsey Home Department. Licence number 78/2017. To enter the lottery, entrants must be and aged 18 or over. Entrants must have a residential address in the Bailiwick of Guernsey to purchase a ticket, and holders of winning numbers will be required to show proof of address to claim a prize. Any disputes between persons purchasing tickets jointly will not be the responsibility of Hope for a Child or the Promoter. The first prize is £100,000. The second prize is an Audi A1 Sportback. The third prize is £5,000 for a holiday. The fourth prizes are 10 x iPhone X’s. The runner’s up prizes are 20 x £500 & 17 x 250. All tickets are priced at £50. Tickets can be purchased by cash or cheque from outlets, or by card online at hope.gg or by phoning Hope for a Child on 01481 727547. There is no restriction on the number of tickets purchased by one person. The maximum number of tickets that will be sold is 10,000. If any cheque provided for the purchase of a ticket is returned by the issuing bank for lack of funds, the ticket will be voided and withdrawn from the draw. All lottery entry sales are final and no refunds shall be made at any time. All entrants acknowledge that their payment of £50 to enter the lottery does not guarantee that they will win any prize. The planned draw date is 28th September 2018, in Market Square. Lottery entrants do not need to be present at the draw to win a prize. 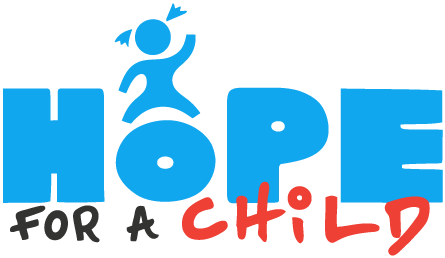 A list of winning numbers will appear in The Guernsey Press, on the web page https://www.hopeforachild.org.uk/portfolio/the-big-summer-lottery, or can be obtained by phoning Hope for a Child on 01481 727547. Hope for a Child reserves the right to change the date of the draw if required. If this occurs, the new date will be published on the web page https://www.hopeforachild.org.uk/portfolio/the-big-summer-lottery/, and printed in The Guernsey Press newspaper. The prizes will be drawn in order of lowest to highest value. All unsold tickets will not be entered into the draw. If the number of an unsold ticket is drawn, a redraw will occur for that prize until a valid number is drawn. The draw will be carried out in front of a public audience using numbered balls, which will be randomly selected from 5 individual bowls, by 5 different people. Cash prizes will be made by cheque in the name of the entrant only. The identity of prize winners will be made known publicly, unless winners specifically request to remain anonymous. Hope for a Child reserves the right in exceptional and unforeseen circumstances to substitute non cash prizes for similar prizes of equal monetary value. All entrants are solely responsible for providing Hope for a Child with accurate and up-to-date contact details. Hope for a Child will be in no way liable for any failure or inability to contact any entrant due to any errors, omissions, or inaccuracies in the contact details that the entrant has provided. In the event that a ticket holder changes their contact details, they will be solely responsible for advising Hope for a Child of the change. Hope for a Child will make its best effort to contact prize winners using the contact details provided. Any prize not claimed after 90 days from the date of the draw will automatically revert to Hope for a Child. Prizes will only be given on receipt of a winning ticket, with the ticket holder being deemed to be the person named on the counterfoil of the ticket. Any prize will only be transferred to that person, and Hope for a Child may require proof of identification. There is no cash alternative for non-cash prizes. Any delays or failures in the postal service or other delivery methods used by Hope for a Child. Any delays or failures in any software or other systems used by Hope for a Child for the administration of the lottery. Any delays or failures in the Banking system used by Hope for a Child, or the ticket holder. Any event beyond the reasonable control of Hope for a Child. Hope for a Child is committed to protecting entrants’ privacy. The full name, contact number and/or email address is collected from each ticket holder. This information is used for the purpose of processing lottery chances, and informing winners that they have won a prize. Hope for a Child may contact entrants using the email address provided to promote future lotteries and fundraising events, if the entrant has opted in to receive further information. Entrants can opt out of receiving these emails by emailing office@hope.gg at any time, or by clicking ‘unsubscribe’ on any promotional email received. Hope for a Child will not sell, rent or grant access to any personal data to any third party. Any entrant has the right to access the information held about them. To obtain this information, please contact Hope for a Child by emailing office@hope.gg, or calling 01481 727547. In the event of circumstances outside of these rules requiring clarification, Hope for a Child will be the sole arbiters of that issue.